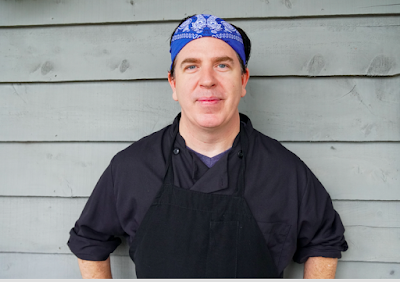 Sage Hill is excited to announce the arrival of Executive Chef Benjamin Crockett. Crockett now leads the kitchen team, bringing with him his culinary prowess, scratch cooking artistry, restaurant management and Sage Hill's first ala carte menu. Crockett’s knowledge of preparing seafood and beef grew under the tutelage of some of Texas’ best restaurants including, Charlie Palmer Steakhouse in Dallas, Ghost Water Creek Ranch in Del Rio and Annie’s Café in Austin. His seafood talents and whimsical presentation skills became even more refined at Wolf Gang Puck 360 in Dallas, Texas and Imperia Sushi Bar in Austin, Texas. This November Crockett debuts Sage Hill’s first ala carte menu, highlighting winter’s favorite proteins, the season’s best farm-to-table ingredients from Sage Hill’s very own garden, and holiday inspired desserts. Plan your visit soon to Sage Hill, say hello to Chef Crockett and enjoy a memorable dining experience.